Oxgangs Primary shows why it’s time to end PFI in Scotland. Oxgangs Primary is a school where the children, parents and staff all work together to make it one of Edinburgh’s best. It simply does not deserve the bad publicity that the ongoing problems bring. 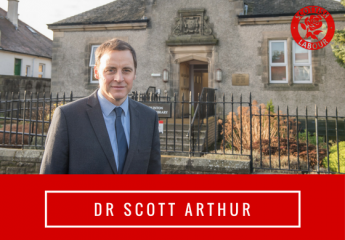 In recent weeks I’ve worked along with Cllr Rust and Cllr Corbett to ensure the voice of the school community is heard and that its interests are protected. The parents and staff simply want the children to flourish in a school with buildings and grounds that are free of health and safety hazards, and promotes learning. They didn’t ask for it to be a PFI school operated by ESP. Although the building has been confirmed as safe, there is a massive gap between what parents expect and what ESP is delivering – many will be delighted that the Council is now taking a tougher stance with ESP. It angers me that ESP is profiting from the stress and uncertainty they are forcing on the school community. It is frankly unbelievable that ESP has still not compensated the Council for the problems arising from the collapse of the wall in 2016. Despite confirming that the school had been repaired after more recent problems with an internal ceiling tile and external roof flashing, ESP appears to have failed to notice or deal with adjacent problems. For example, ESP checked the school to ensure no ceiling hangers were missing (the probable cause of the tile falling), but failed to spot hangers that were not secured properly or that had snapped. It is difficult not to draw the conclusion that ESP is focussed on maximising return to shareholders rather than providing a safe school for children to flourish in. Indeed, ESP is listed by Companies House as a company involved in the “Construction of commercial buildings” and its 2017 accounts showed it had £8,095,169 “cash at bank or in hand”. ESP’s motives appear to be at complete odds with the school community. What these latest problems with ESP show is that it’s time to end the use of PFI type contracts. The problems at the Royal Infirmary and Oxgangs Primary, together with the 6 year delay at the new Sick Kids Hospital, all show that the PFI model is not good value for money. The Scottish Government need to consign it to the dustbin and give Edinburgh the funding it needs to bring Oxgangs Primary back in to public ownership where it belongs. ← Funding Police Scotland – Taking money out of schools, social care and transport can’t be the answer.